Was flicking through the latest olive magazine and I found a recipe for a tart I used to make at school. 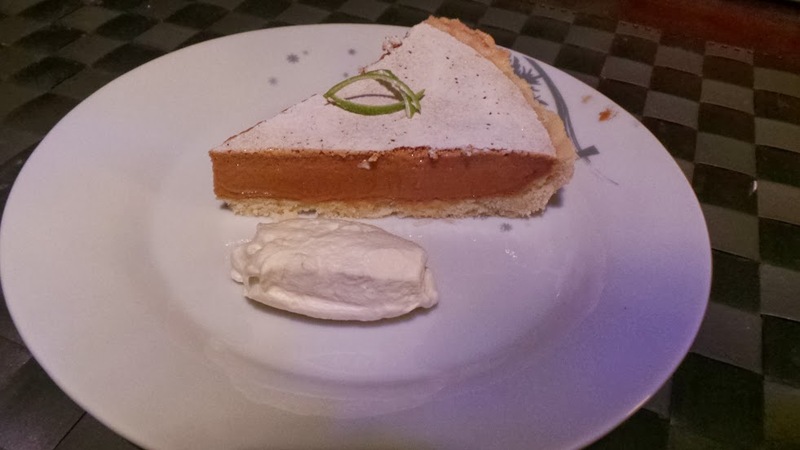 The Gypsy Tart is one of those retro classics that has disappeared into obscurity, hopefully it’s inclusion in the magazine will propel it back into popularity. Put the sugar and butter into a food processor and mix until the they are combined and pale. Pour in the flour and mix for a further 30seconds or until it starts to make a ball. Kneed gently on a floured surface, and shape into a rough disc. Cover in cling film and rest in a fridge for at least 30 minutes. Line with some greaseproof paper and pour in some baking beans and blind bake for 15 minutes. Remove the beans and brown in the oven for a further 10 minutes or the pastry is pale golden brown and allow to cool. Wisk the evaporated milk and sugar together with an electric Wisk for 15 minutes (do not scrimp on this or the filling won’t have the correct consistency when cooked). Pour into the tart base and cook for 10 to 15 minutes until the filling is risen and just set. When fully cool, slice and serve with some lemon or vanilla cream. This is definitely my one of my favourite January crumbles. It’s so pretty when made with the forced winter rhubarb, and you get to combine the rhubarb with the intensity of seasonal blood oranges. Cut the rhubarb into 5cm/2in pieces and lay them in a 23cm/9in ovenproof dish. Top with the orange pieces. Place the orange juice in a saucepan over a medium heat. Add the sugar, star anise, cinnamon stick and vanilla seeds. Continue to heat until it becomes syrupy. Strain, then pour over the rhubarb. Place the butter, flour, sugar and cinnamon in a bowl and use your hands to rub them together until it looks like breadcrumbs. Add the almonds and spoon the crumble on top of the fruit. Place in the oven for 25-30 minutes until golden-brown. Another Waitrose recipe index card, this time from November 2006. It’s for an individual and lighter version of the classic tiramisu and makes a cracking sophisticated dessert for a dinner party. You can impress with out any real effort! In a large bowl, beat the mascarpone, yogurt and icing sugar together with a wooden spoon until thoroughly combined. Add the Tia Maria to the cooled coffee. Dip 12-16 of the biscotti into the coffee mixture one at a time, then immediately divide between 4 x 250-300ml teacups, placing the biscotti in the base of each. Spoon half the mascarpone mixture over the biscuits in each teacup. Dip the remaining biscuits, one at a time, in the liquid and place in equal amounts in each teacup. Sprinkle over a thin layer of grated chocolate. Divide the remaining mascarpone mixture between the teacups and top with a liberal dusting of sifted cocoa powder. Chill for at least 2 hours to allow the flavours to develop. The flavours will intensify even more if left overnight. For a richer version, use full fat mascapone rather than the lighter one. You can also make one larger tiramisu, just use a bowl if you don’t have any teacups. In a heavy based pan, sauté the apples in the butter, sugar and star anise and cook for about 8 min, until the apples are caramelised and just tender . Don’t overcook them to a purée as you want the apples to keep their shape. For the crumble mixture, mix the flour and ginger in a bowl and add the butter a few cubes at a time, rubbing into the flour until the mixture resembles breadcrumbs. Stir in the flaked almonds and sprinkle over the apple mixture. Bake in the oven for 35-40 minutes until the crumble is golden brown and the fruit mixture bubbling. 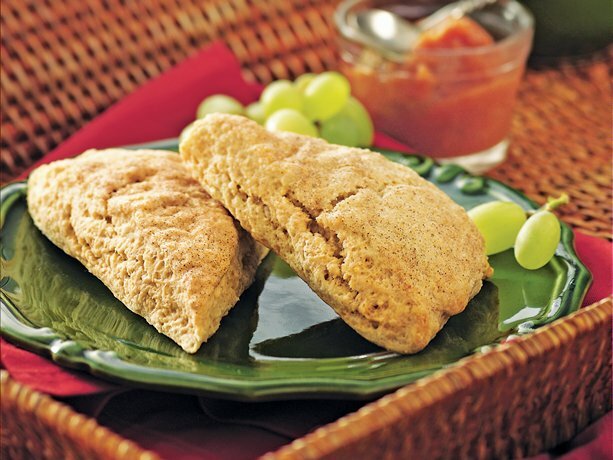 Serve with hot custard or thick cream, eat and enjoy…. If you can’t get hold of cooking apples and have to use a sweet eating apple, you’ll need to reduce the amount of sugar in the apple mixture by half and the cooking time of that step to 5 mins. I don’t do much cake baking, I think it’s because it’s less forgiving if you make a little ‘change’ to the recipe by putting too much or little of something in. However this is one cake recipe I do make, it’s sticky, gingery and orangey at the same time which is good in my book. Sift flour into a bowl with the ground ginger and bicarbonate of soda then add the salt and clementine zest. Add the metled butter, sugar and syrup mixture, eggs, buttermilk and stem ginger to the flour and mix thoroughly. Pour into the cases, the mix will reach quite high up the sides. Bake for around 25 minutes until golden and springy, Don’t worry if they haven’t risen particularly well as the are meant to be a dense and sticky sponge. Allow to cool in the tin,this makes the sponge even more squidgy. Smooth a generous amount over each cupcake and top with the slivers of stem ginger and clementine zest for decoration. After making up a batch of Lime Infused Vodka, I was left with whole batch of de-zested fruit. Rather than just throwing them away or quartering, bagging them up and freezing them for fruit ice cubes for drinks, I decided to make Granita (a semi-frozed Siciliana water ice dessert). 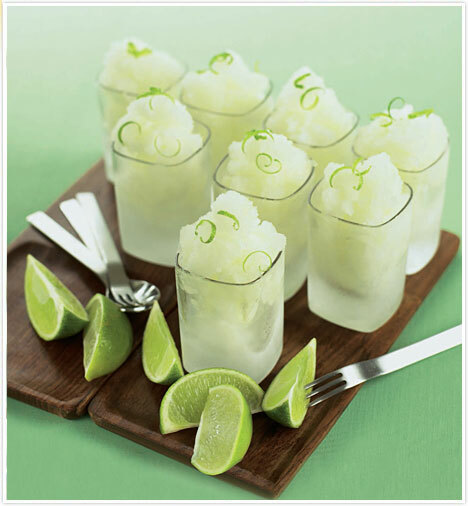 This Lime Granita is zesty and cleanses the palette like a sorbet and is easy to make! It’s also brilliant as the base of frozen Margaritas, just scoop into a salt rimmed glass and add Tequila…..
Make a stock syrup by combining the water, sugar and Lime zest together in a saucepan and bringing to the boil. Combine the stock syrup and Lime juice in a shallow freezer proof container. Spread of more than one rather than filling too deeply. Now comes the repetative bit, it’s worth it tho. Every 15-30mins rake it with a fork so that it breaks up into little grainy ice crystals. Once the entire mixture is frozen, but grainy and separated it’s ready to eat. Once you’ve made it, the Granita can be left in the freezer but you’ll need to rake it up before serving.